My climb of 14,125 ft. Mt. 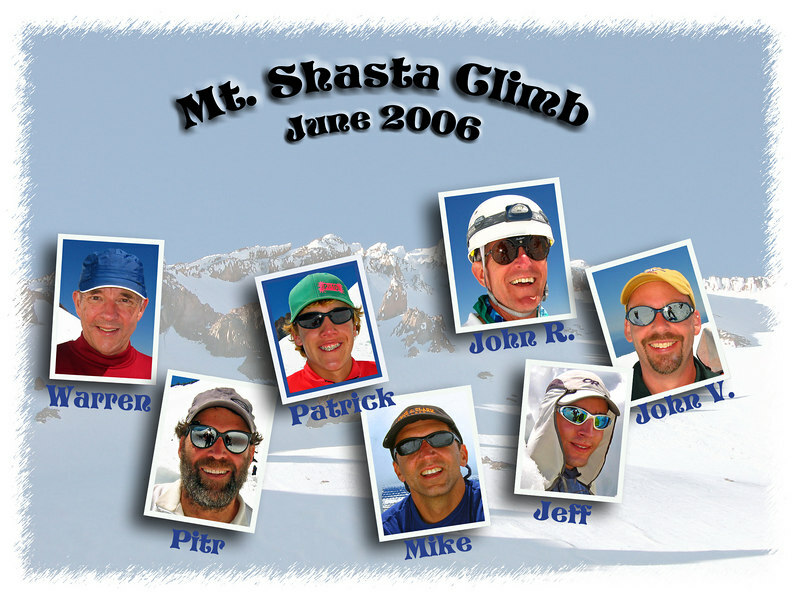 Shasta with my son Jeff and some friends in June 2006. Our group of friends who climbed/skied Mt. Shasta from June 19 - June 21st. Six of us made it to the summit on Wednesday morning June 21st.